Ever since Topbox launched the Privé box program, I've been finding myself opting in each month as opposed to selecting the regular Topbox. I used to love the surprise of beauty boxes but now it seems like I prefer to know what's inside. 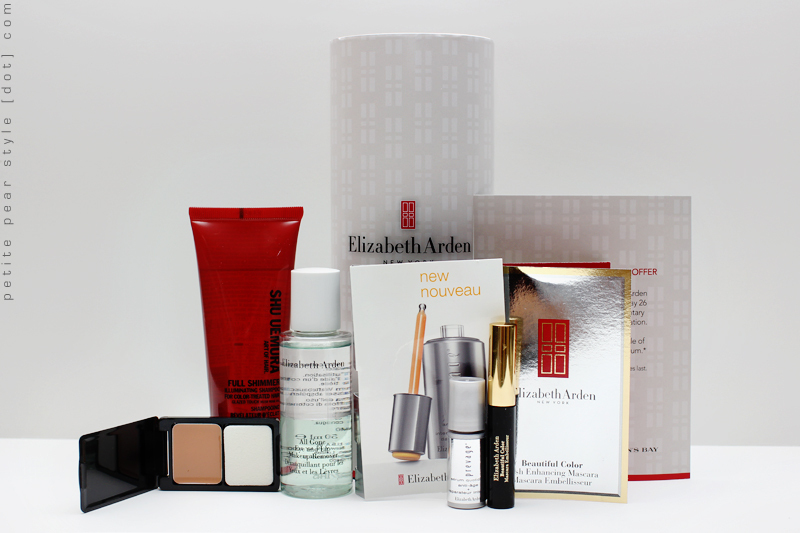 For my April box, I requested the Elizabeth Arden Privé box and was happy I received it. I like the sample size and I'm excited to try this mascara. I haven't really tried a lot of high end mascara so I'm curious as to whether I will notice a difference. This product is crazy expensive! I haven't noticed a difference with any of the serums I've tried to date (with the exception of the 360 Skincare product, which is more like a cream). I'll definitely be giving this product a try to see if it's worth the price but I doubt I would ever pay that much for 30 ml of serum. I've used this product a couple of times since recording my video and I like it. 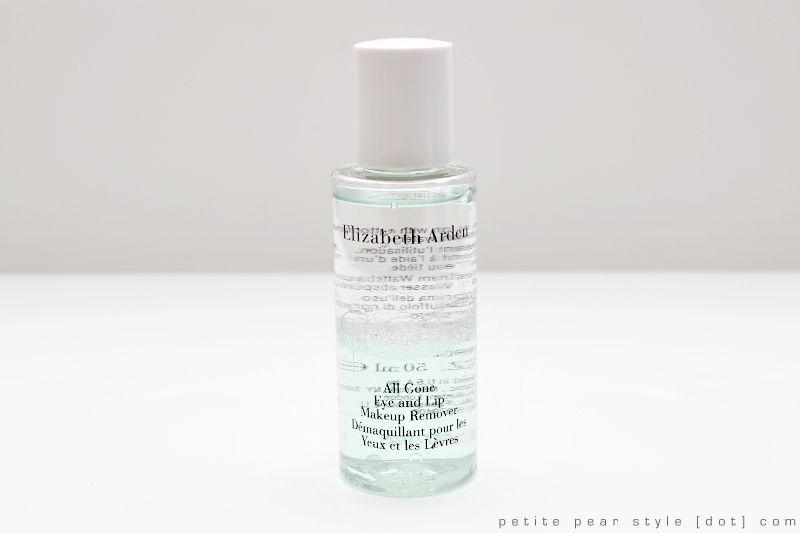 It's gentle and does a good job at removing my eye makeup. This is the product I was most excited to receive. I have quite a few concealers to use up but perhaps I will have to take a break so I can bump this up on my "to try" queue! 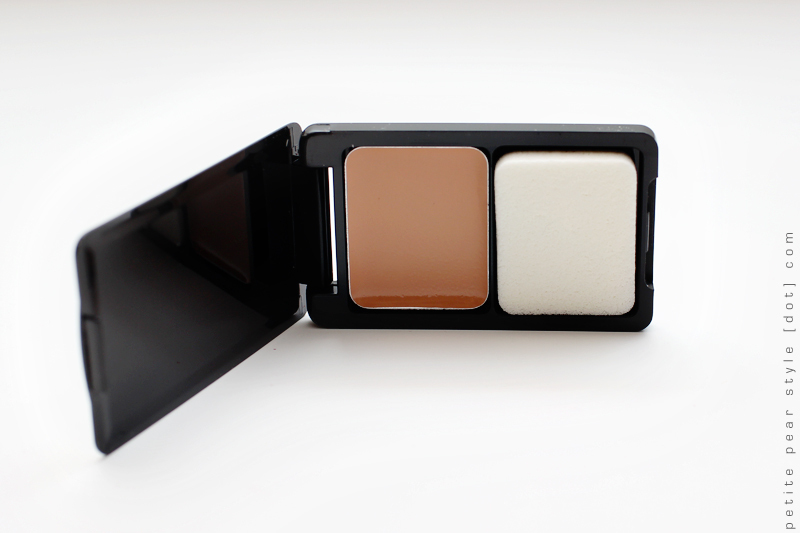 I chose the shade Gentle Beige and I think it will be a good match for my skin tone. This was a bonus sample I received this month because I contacted Topbox last month regarding the size discrepancy with the Pure + Simple blush. 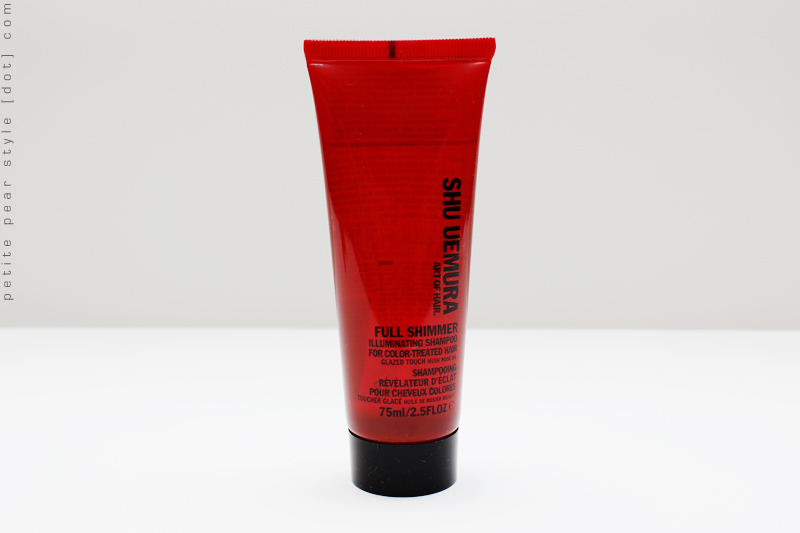 I had previously received this shampoo sample in my very first Topbox and I didn't like it when I tried it the first time. My opinion on this shampoo hasn't changed much. I really like the scent but dislike the thin, runny consistency. As for its effectiveness, I found it a little better (my hair did not become overly greasy like it did last time) but that's probably because my hair has changed a lot in the meantime due to my new shampooing schedule. I still would not re-purchase this product. 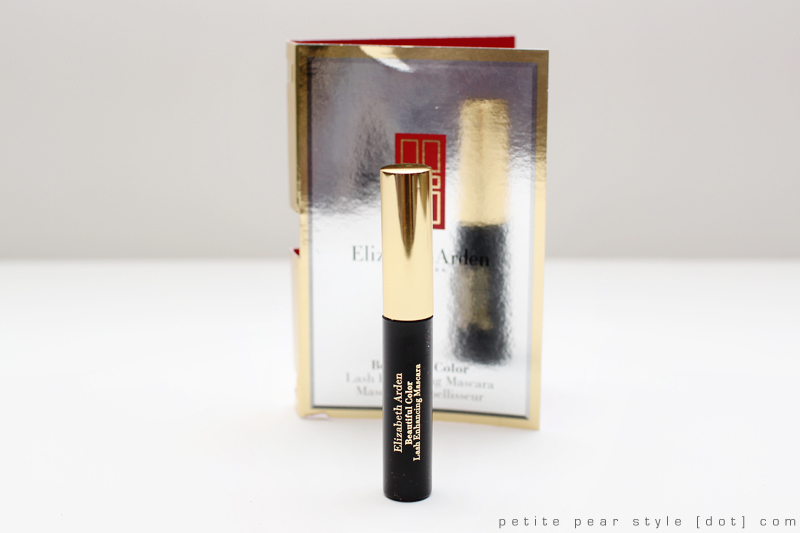 Overall, I really liked the Elizabeth Arden Privé box. I don't have a lot of experience with this brand so I was happy to gain some exposure to some of the products at a reasonable price point. The value of this box was amazing. While I was happy with this month's box, Topbox is no longer a subscription that really excites me. 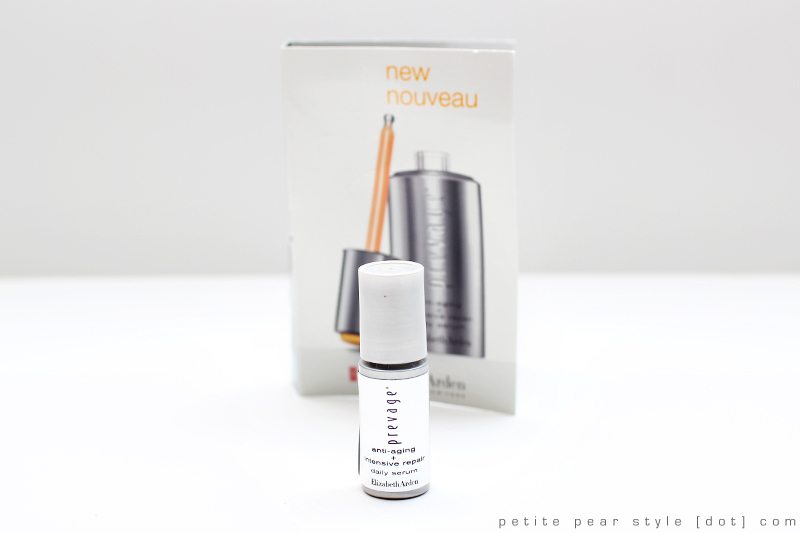 I do like the Privé box program but I found myself selecting a Privé box every month because I was not confident in the samples that would be sent out in the regular Topbox. I have since cancelled my Topbox subscription so next month (May) is going to be my last review... at least for a little while. :) For my May box, I chose the Masqueraide box so assuming I receive that, the review won't be too exciting as most of you already know I love the Maskeraide masks. Note: I purchased this Topbox with my own money. Really wish I had gone with the Prive this month, since the product I was trying to avoid (eye make-up remover) was included in the regular box anyways! And I was one of the unlucky people who received a perfume sample instead of a brush or full-sized lotion. I think I'll be sticking with the Prive boxes from now on too, especially since I always seem to get the short straw with the surprise boxes - despite topbox's claims that they keep track of these things so that people don't get shortchanged, I always seem to get the box of lesser value. I'm also considering cancelling. I moved recently and was actually kind of shocked/mildly ashamed of all of the sample-sized products that I was packing. I'm actually really torn about it, because I love getting the boxes, but I've probably only used about half of the things that I've received, and out of that half, I'd only consider buying maybe 25% of the products. Such a dilemma! I keep being tempted by ipsy! The bags are sooo cute and the teaser emails they send make me consider signing up every single time! Which ones are you going to keep? I received my first box this month and found it a bit boring... The only item in the regular box I'm excited to try is the scrub. I'm hoping that I get a prive box next month! Which subscription service is your favourite right now? I like seasonsbox too. I still have 2 boxes left in my subscription and I'm holding out for boxes that really peak my interest. I'm hoping the quality of their boxes and their customer service doesn't change when they finish moving their operations to the US. i too hope the customer service isn't impacted by the move to the U.S.! i subscribed for a year starting in february so i have quite a few boxes left. fingers crossed for a smooth transition!